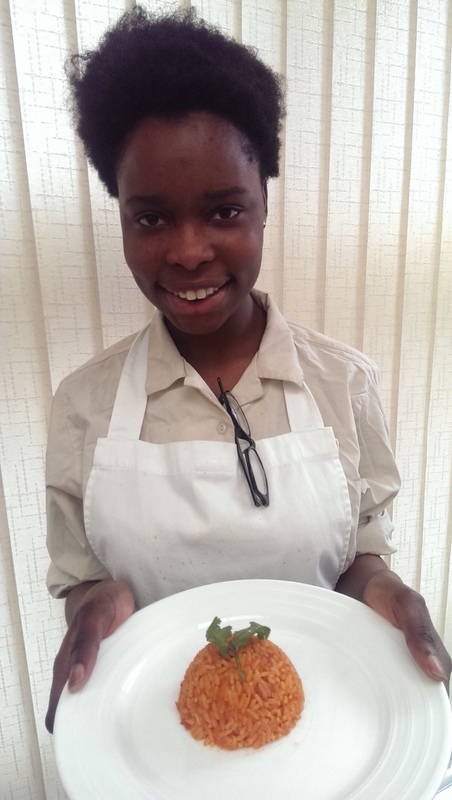 Omena 3A4 made Jollof Rice for her mock Junior Cert Home Ec. Food and Culinary Skills exam. Her brief asked her to “prepare, cook and serve the complete main course of an ethnic meal”. It was prepared with great skill and care and was absolutely delicious! Well done Omena! We are very proud of you!